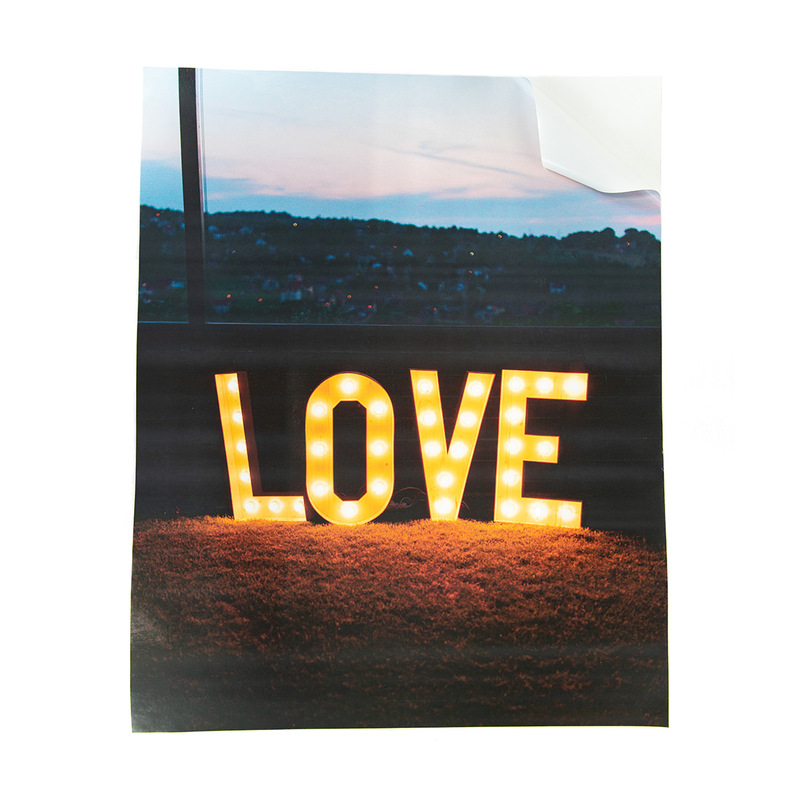 Peel & stick fabric posters are the perfect way to bring some style to your space without breaking the bank. And unlike vinyl, they’re odor free and a breeze to apply. 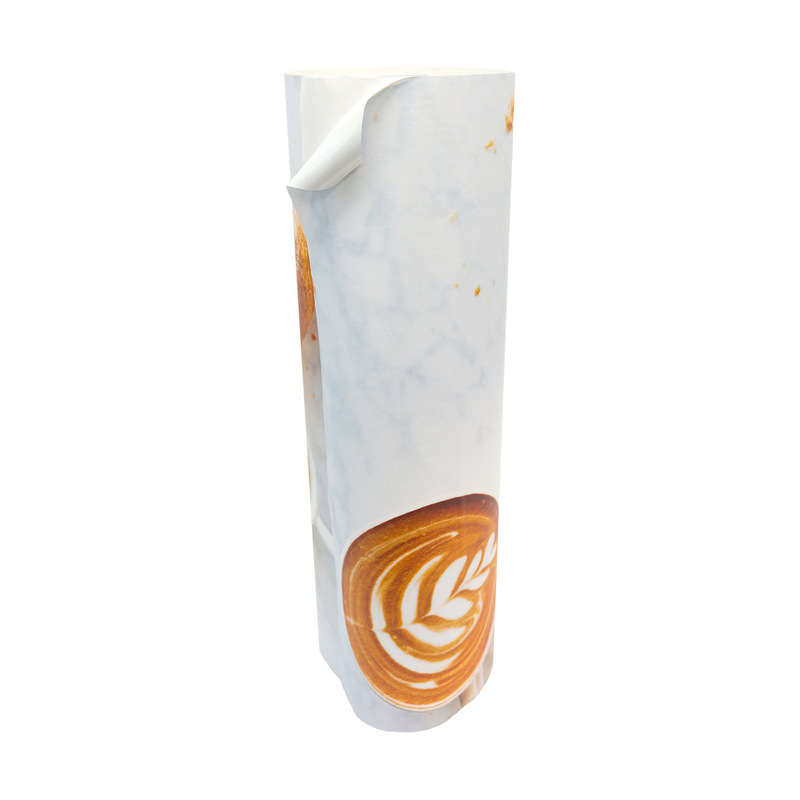 What types of surfaces can I put a peel & stick print on? 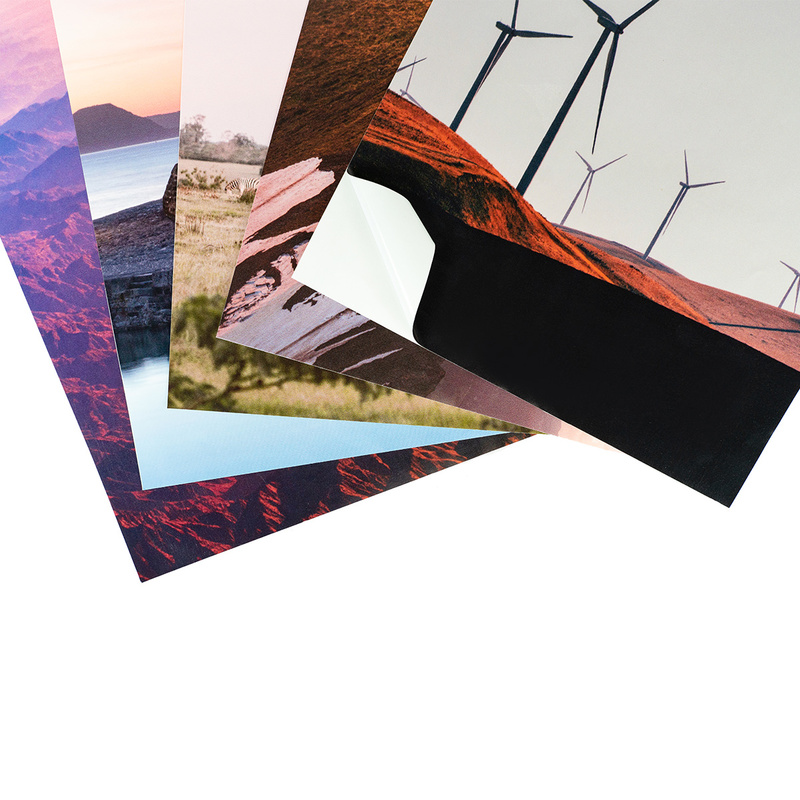 Our peel & stick prints work best on smooth, clean surfaces. 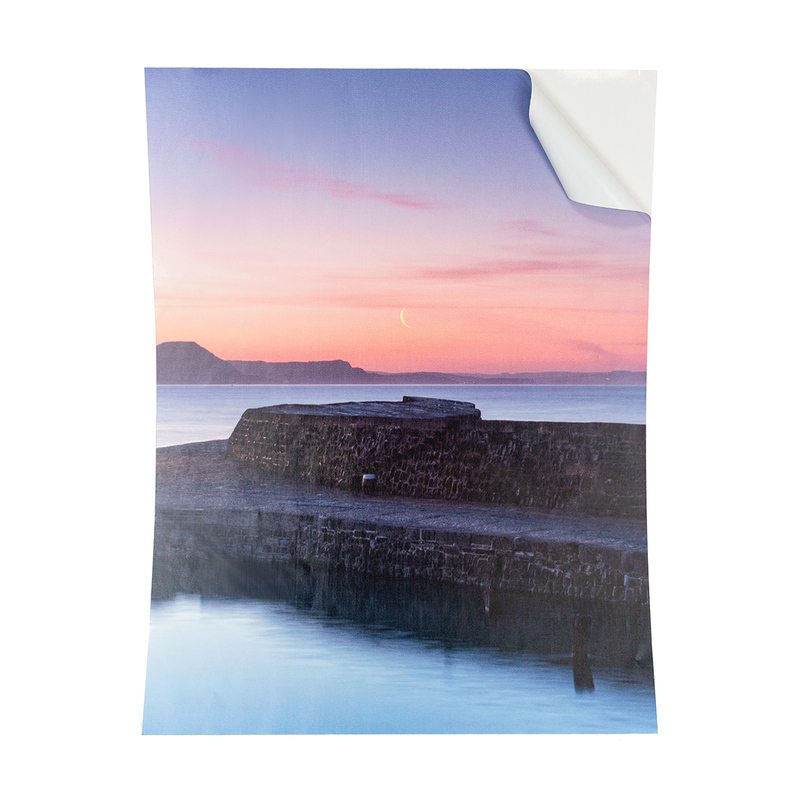 If your walls have texturing, it will be a little harder to put our peel & stick prints on straight and have them stick well. Some ideal surfaces include: glass, untextured walls, ceilings, sealed concrete floors, smooth metal, tile, plastic surfaces and finished wood surfaces. Keep in mind that the less porous the surface is, the harder it will be to get the print off. What types of surfaces should I avoid? Again, you will want to stay away from textured walls and anything that is very porous. Some examples include stucco, concrete blocks, brick, unfinished wood, freshly painted walls (wait 30 days), and fibrous materials (like fabric or canvas). While our products will stick well to paper-based surfaces, do not apply them unless you are looking for a permanent bond. You will not be able to remove a print from any paper surface. Will the print damage the paint on the wall? 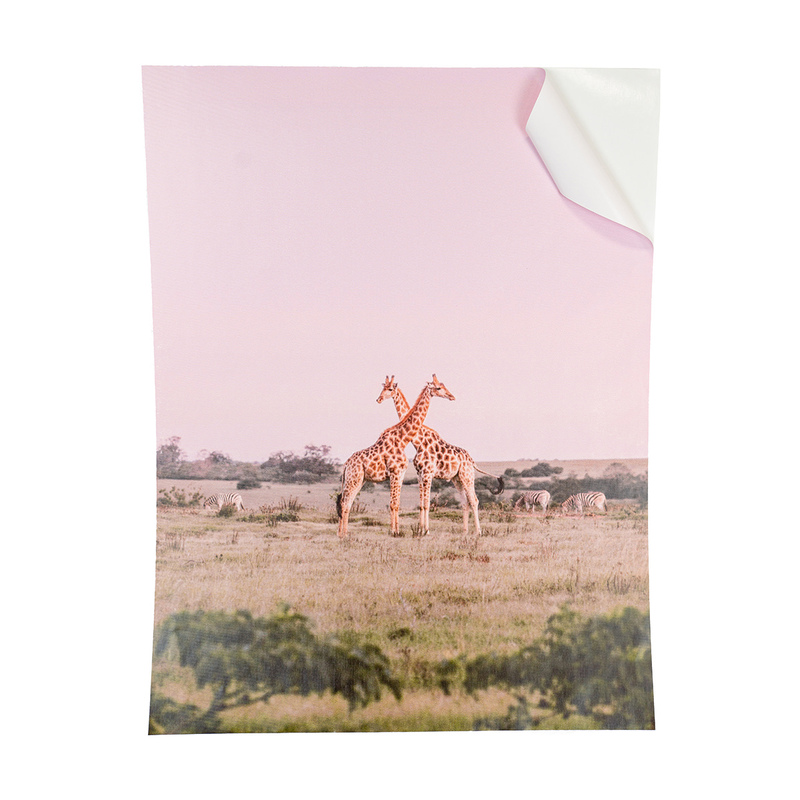 Our peel & stick prints are designed to come off clean and shouldn’t leave any sticky residue behind. If your paint was not applied properly or if it is old, chipping, or flaking then the print may possibly remove some paint. Unfortunately we cannot guarantee that every wall will be perfect upon removal, but most walls should hold up. How do I remove the print? 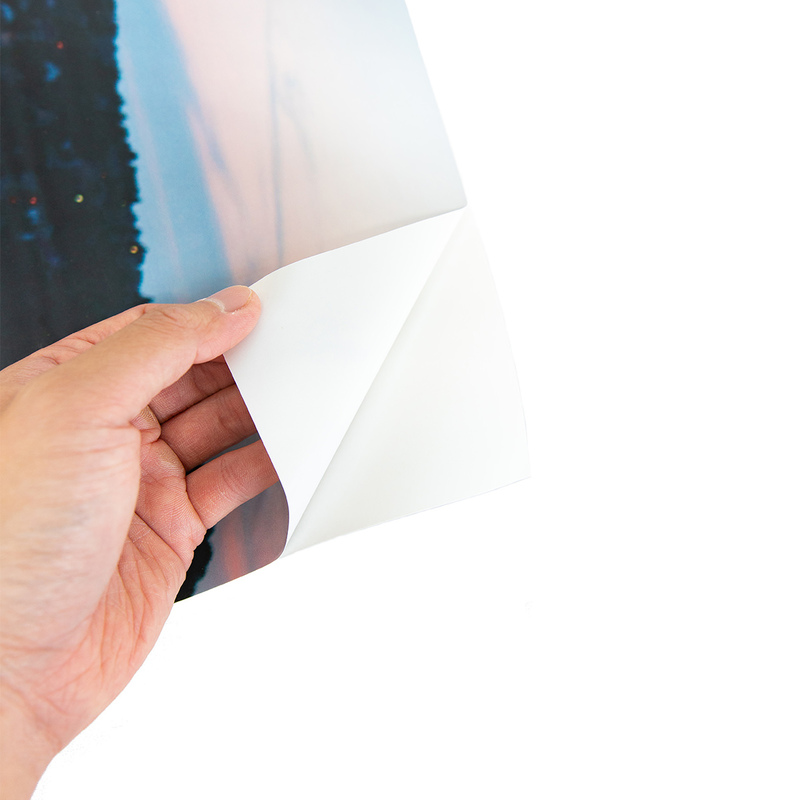 To remove your print, peel up a corner with your fingernail, and slowly peel it off the wall. If you have applied it to a less-porous surface such as glass, we recommend that you use a hairdryer on low heat to release the adhesive and make it easier to remove. Can I clean my print? Everything gets dirty so you may want to clean your print from time to time. To do this, simply take a soft and lightly damp cloth and gently wipe down the surface. It is recommended that you avoid cleaning agents of any kind to avoid damaging your print. 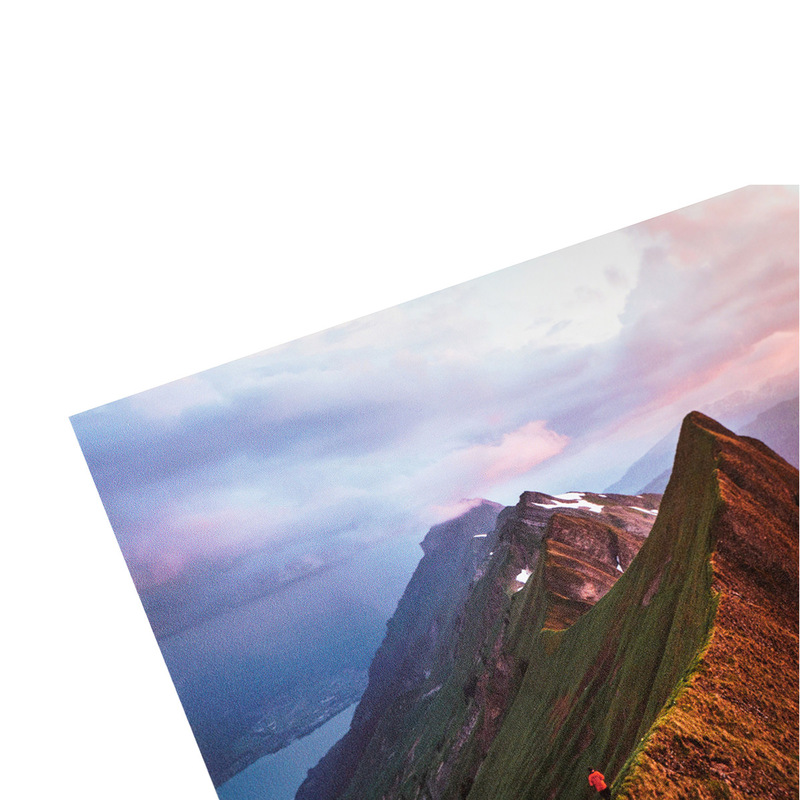 Our peel & stick prints are designed to stick on smooth, dry, and clean surfaces. Even though your walls may be spotless, it is a good idea to run a damp cloth over them to clean up any unseen dust or dirt. Wait until the wall is completely dry before applying the product. Plan out how you want your prints arranged on the wall, especially if you are hanging multiple prints. If it helps, have a rough layout of your prints sketched out on a piece of paper next to you for reference. The easiest way to hang the prints is to start with your center one and move out from there. With the pencil, mark a light dot on the wall where you want the top of the print to hang. Use a level (standard or laser) to mark two more dots on the wall, on either side of your original dot. This will give you a line of dots that you can easily line up with the edge of your print. Using the dots as a guide, stick the top of the print to the wall. From top down, slowly and gently smooth the rest of the print into place. If it helps, don’t remove the entire backing when you first start. Instead, remove only the top, and peel it off slowly from the top down. Once you are happy with the print’s placement, use your squeegee or card to work from the middle outward to remove any air bubbles. Be careful not to press too hard, though, as it may scratch the print. If you only have one print, step back and admire your work because you’re done! If you have other prints to hang, repeat steps 2-5 making sure to give ample space between each of your prints. Be sure to refer back to your sketched layout to make sure you stick to your design. If you mess up, simply peel the print off of the wall slowly at a 45 degree angle, and start over again. If you want to remove the print permanently, it should peel right off. If you happened to stick it onto a non-porous surface such as glass, use a blow-dryer on low heat to release the adhesive and make it easier to remove. 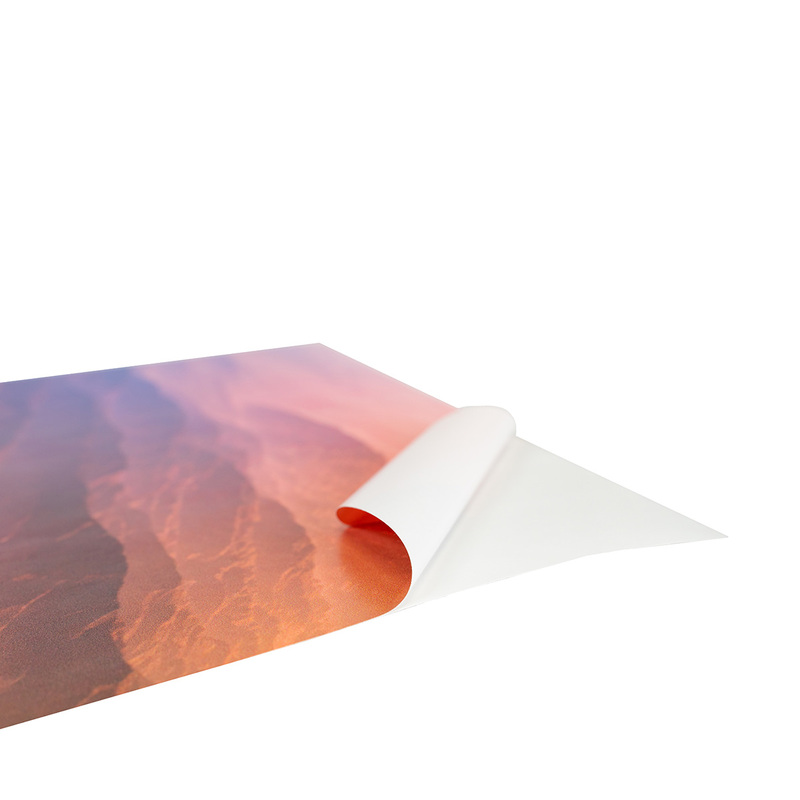 Peel & stick prints are printed at 150 dpi. * Prices in list reflect the standard pricing without any applicable promotions applied. 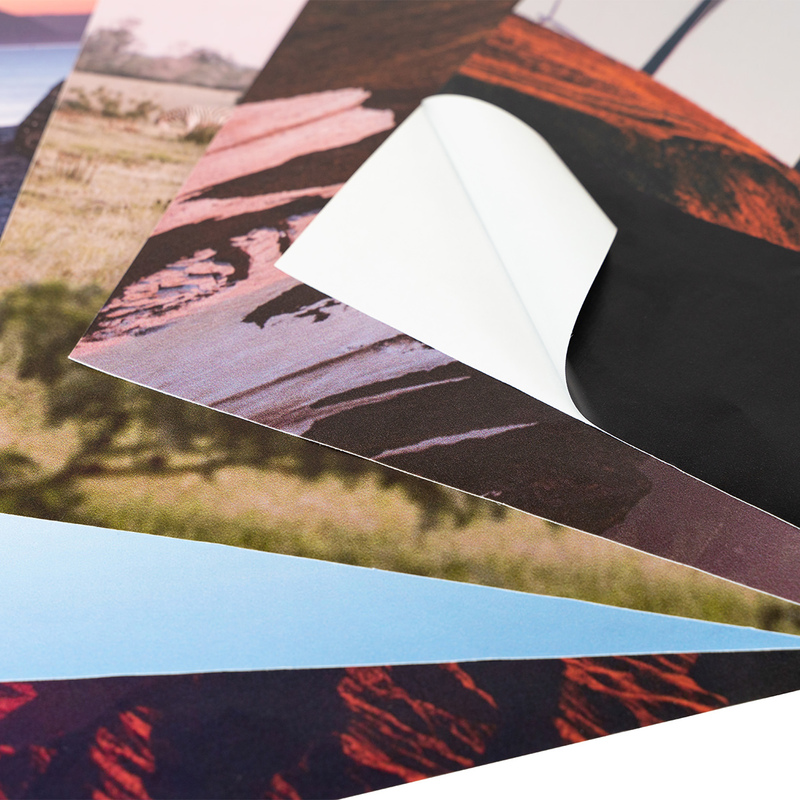 Peel & stick prints are produced in and ship from the closest facility we have to your delivery address. 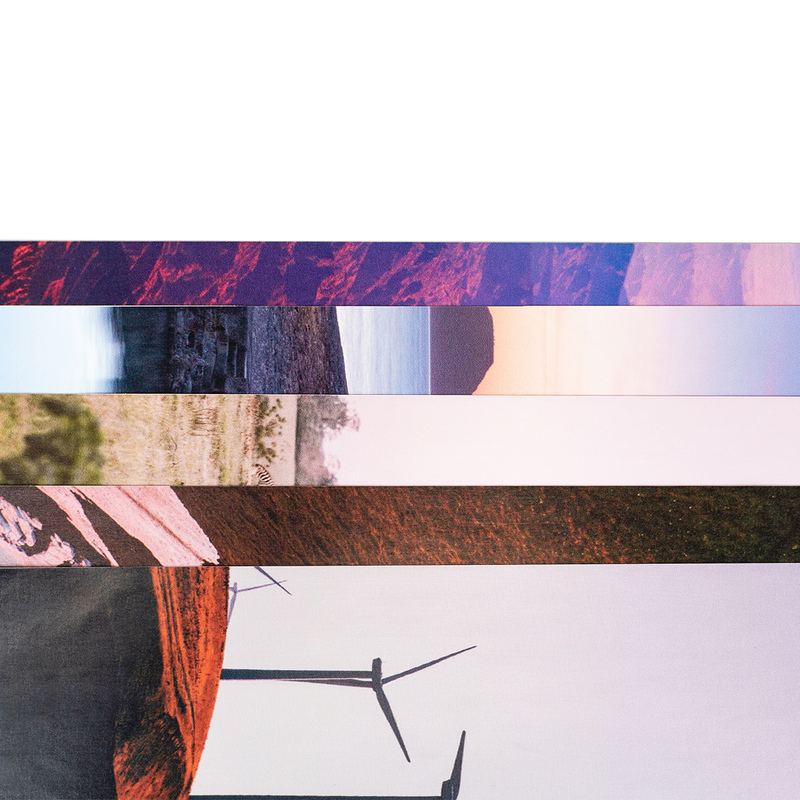 We currently have 3 production facilities across the United States: Southern California, Northern California, and New York.